Father’s Day Gift Ideas for the Craft Beer Enthusiast in Your Life! Are you looking for the perfect Father’s Day Gift for the craft beer enthusiast in your life? 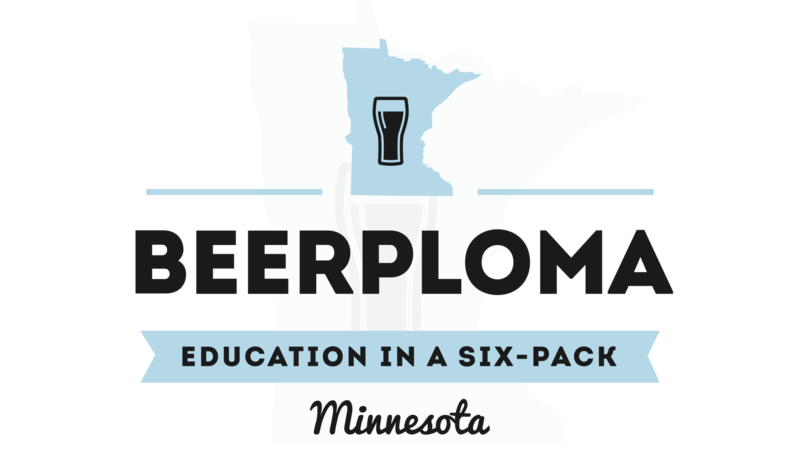 We here at Beerploma compiled the perfect guide for all the types of Craft Beer Enthusiasts. From the Baron of Beer and BBQ, to the Rare Beer Collector, we have the gift for the Papa, Father, or Dad in your life. We provided a handy link to the sites for each of the gifts so you can hop write to their websites and order them directly from source! For the Craft Beer Man Cave: A Cap Map from Beercapmaps.com! Does the Father in your life have a fully decked out Man Cave? Whether it is a Basement Bar, or a Garage-mahal this is the perfect art work for the craft beer drinker. We hung a couple of these up in our 3 Growlers garage to show off all the great Minnesota Brewery caps. They are stylish, easy to hand, and customizable to your favorite beers, this is a must have for any Man Cave. Order one today and use the promo code “Beerploma” for an additional 15% off your Father’s Day Gift order! Heck, with that deal, buy one for yourself! Osakr Blues recently put out a variety of hot sauces, and boy are they TASTY. We will be covering these sauces more in depth in a future article, but currently I can vouch that the Dale’s Pale Ale The Original Wing Sauce is probably the BEST wing sauce I have ever had. Plenty of heat, well balanced, and the beer flavor really brings out a unique finger licking favor. Another great choice for a Father’s Day Gift! Space is always an issue for any collector. Help the rare beer collector in your life out with this great gadget for a Father’s Day Gift. These stackable wooden crate come with slide out lids, a space to dry erase mark your inventory, and is easy to move and carry about. But the real magic is in the inserts. These adjustable pieces of wood can be modified to make your Brewbicle hold 12oz bottles, 22oz bottles, 750ml bottles, and even Growlers if that is your thing! The Growler is more than just another craft beer magazine. The team behind the Growler is all about the pulse of the Minnesota Culture. Whether they are exploring Minnesota Meat Markets, or the Twin Cities Music scene, or covering the newest brewery opening, the Growler is the perfect Father’s Day Gift for the Localvore in your life! Pre-order this Father’s Day Gift today! This is a craft beer centric board game. I helped Kickstart this game, so I am looking forward to getting my copy. In the mean time be sure to check out our exclusive interview with creator Adam Rehberg. So that’s our Father’s Day Gift guide for 2015. Check out our 2012 Christmas Episode of 3 Growlers for other great Craft Beer Gadgets! Do you have any suggestions for all the Father’s out there? Post a comment and let us know! Prost! Do you have any suggestions for all the Father’s out there? Post a comment and let us know! Prost!